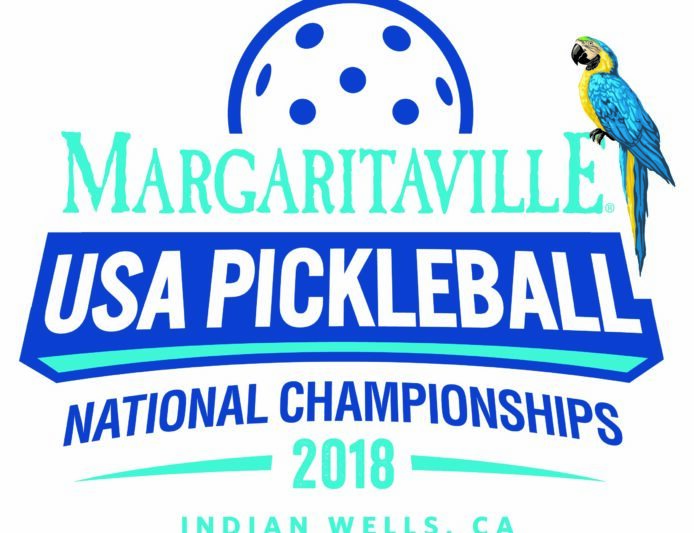 Margaritaville Holdings today announced a partnership with ESPN, giving fans front row access to tune in to the 2018 Margaritaville USA Pickleball National Championships – regardless of their current latitude. Hosted by tennis legends Luke and Murphy Jensen, the must-see dynamic 1993 French Open Doubles Champions, the live broadcast will air from 4-8 p.m. EST this Thursday, November 8 through Sunday, November 11 on ESPN3. A one-hour special will debut at 3 p.m. EST Sunday, November 25 on ESPNEWS and re-air on the same network at 1 p.m. EST Saturday, December 22. 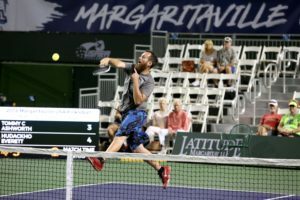 The 2018 Margaritaville USA Pickleball National Championships – expected to draw approximately 2,500 players of all ages and skill levels – is currently being held at the Indian Wells Tennis Garden in partnership with sports and entertainment management company Desert Champions and the United States Pickleball Association (USAPA). Margaritaville is the title sponsor of the premier sanctioned tournament of the USAPA. Admission to the grounds and to the 44 field courts is free. 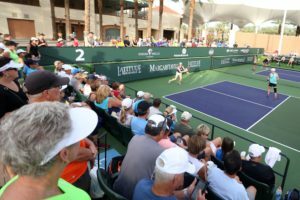 Tickets to the Championship Court are available for purchase at USAPickleballNationalChampionships.com. Those unable to attend can stream live coverage available on WatchESPN and the ESPN App. It should also be noted that the above broadcast schedule is subject to change.